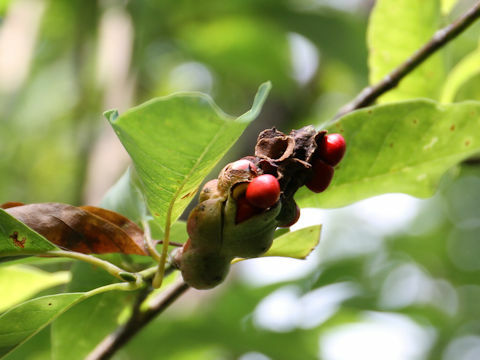 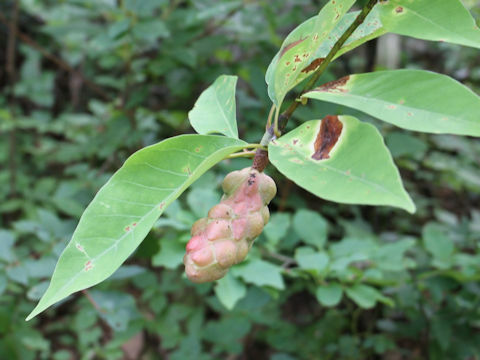 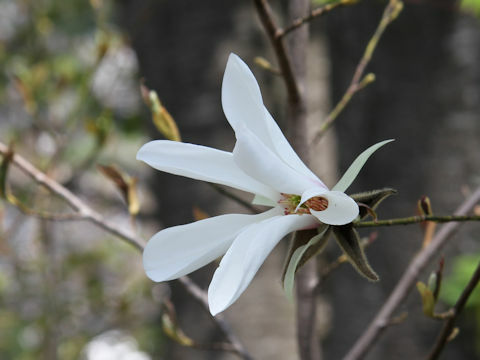 Anise magnolia (Magnolia salicifolia) belongs to the Magnoliaceae (the Magnolia family). 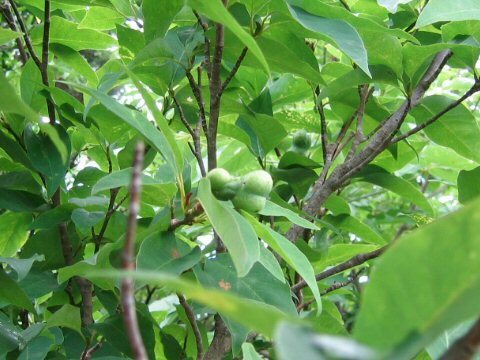 It is a small deciduous tree that is native to Honshu, Shikoku and Kyushu. 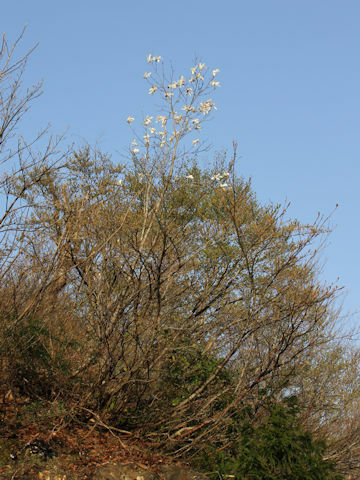 This tree grows in mountains and can reach 5-10 m in height. 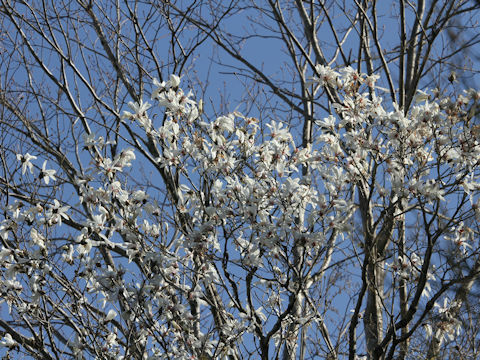 The bark is gray to grayish brown and smooth. 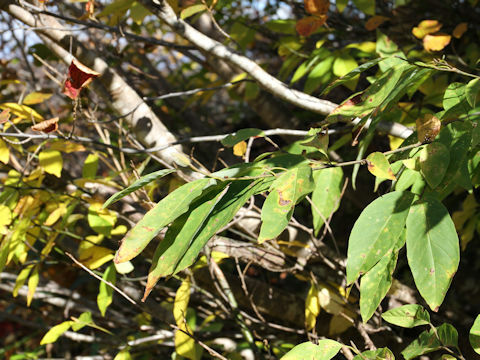 The leaves are opposite, broad lanceolate with acute tips. 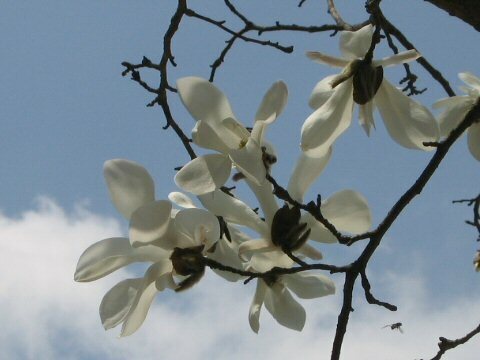 They are tinged powdery white beneath. 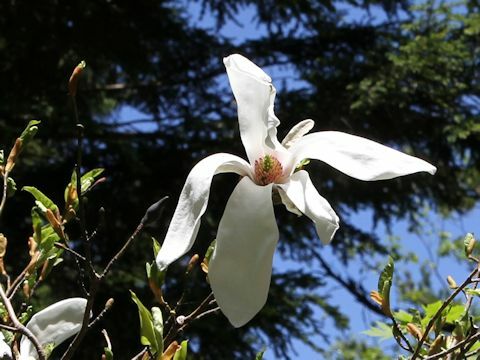 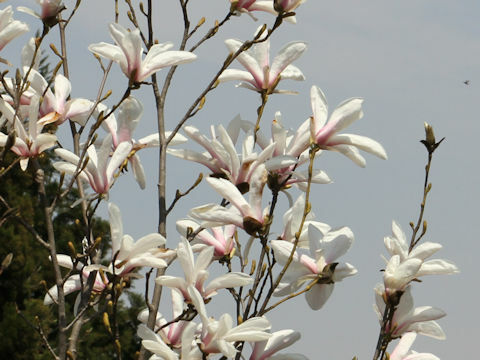 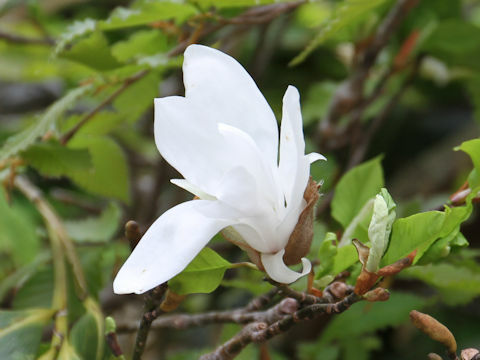 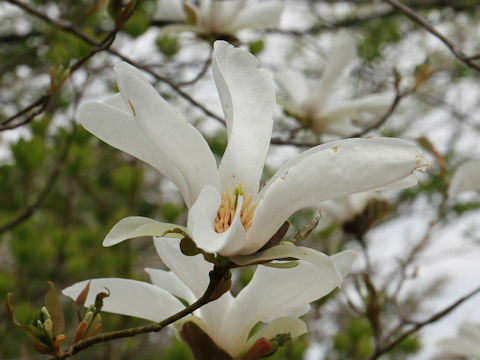 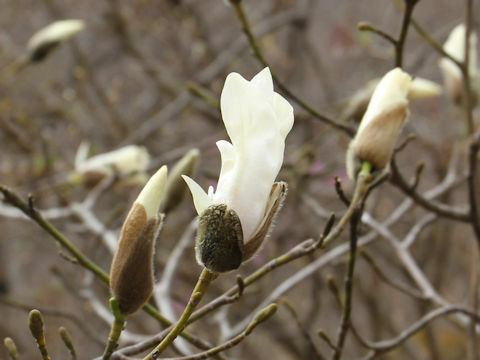 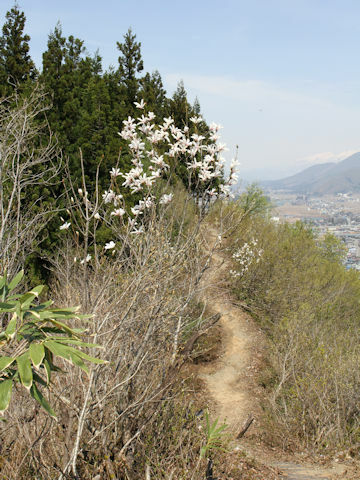 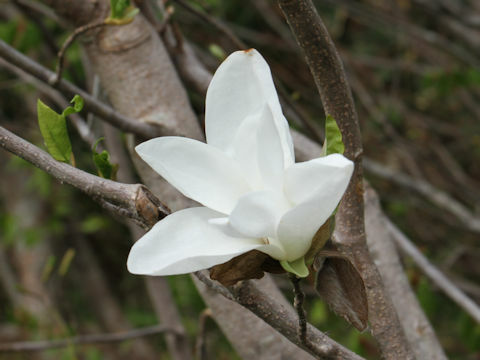 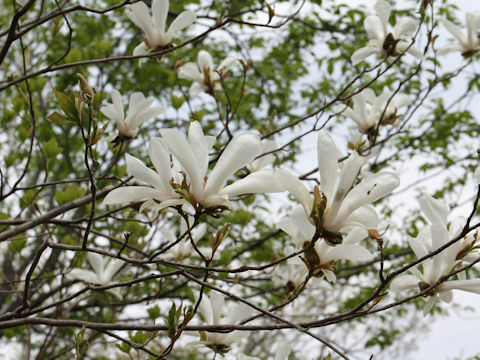 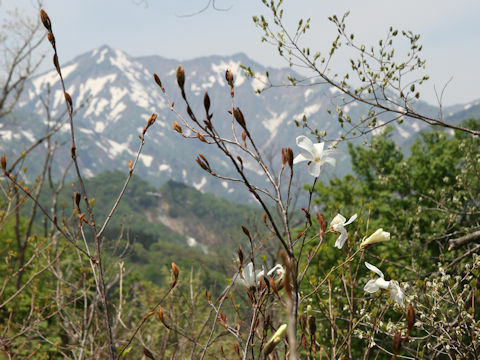 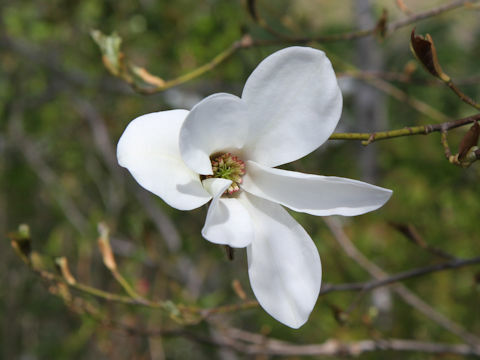 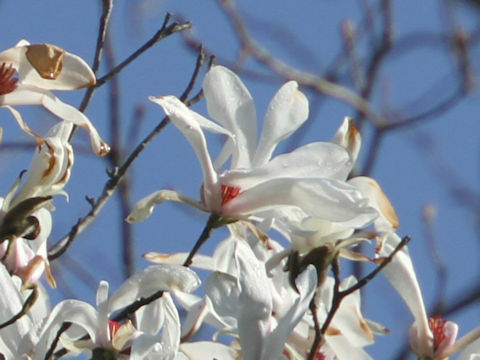 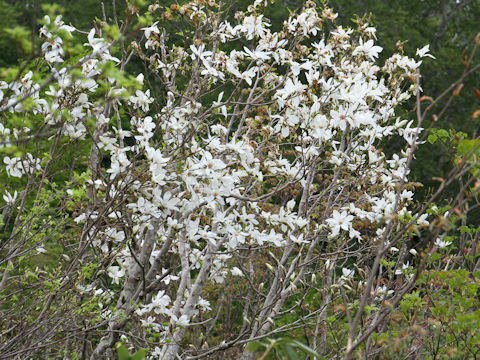 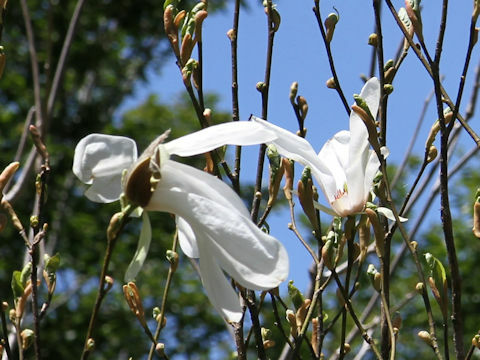 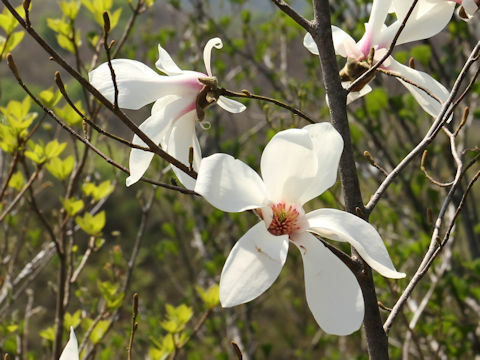 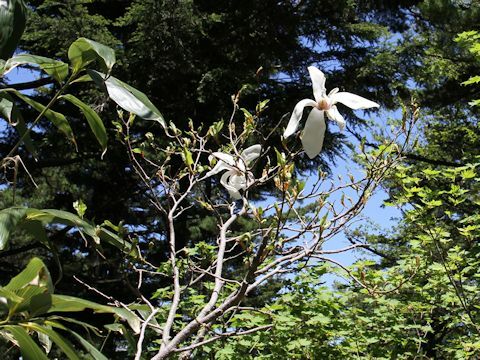 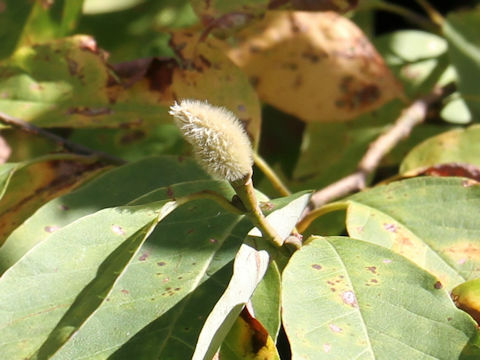 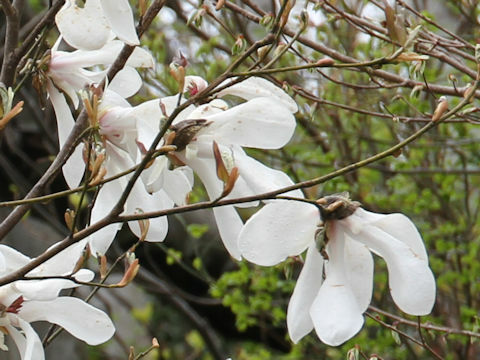 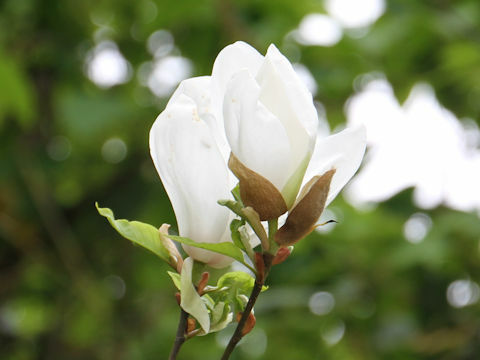 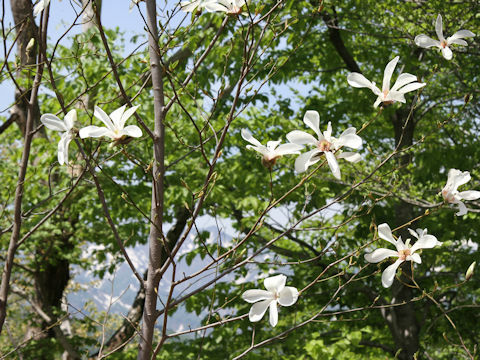 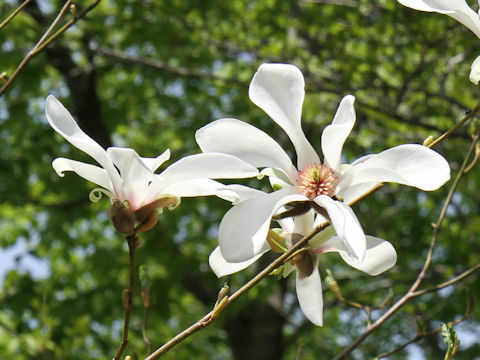 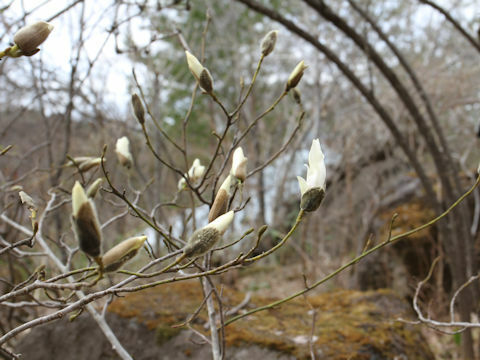 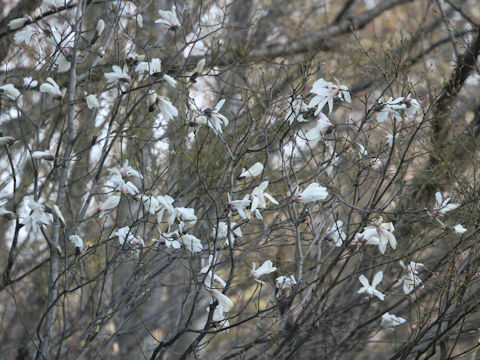 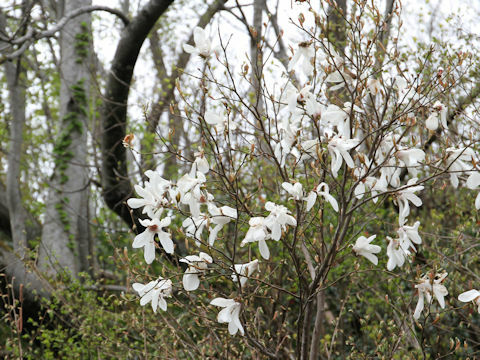 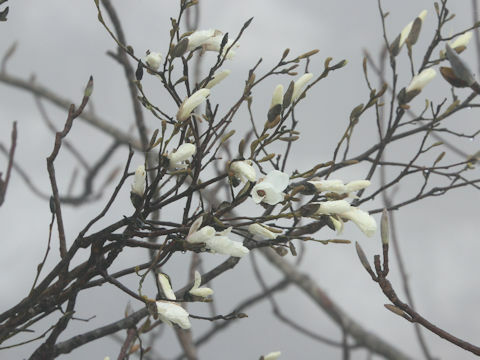 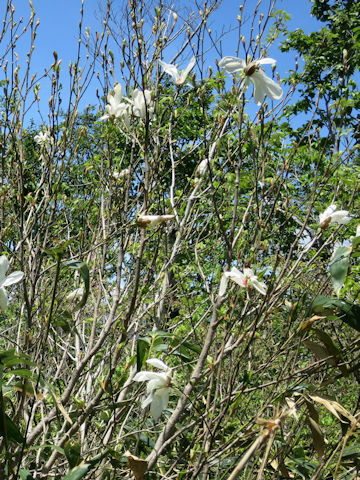 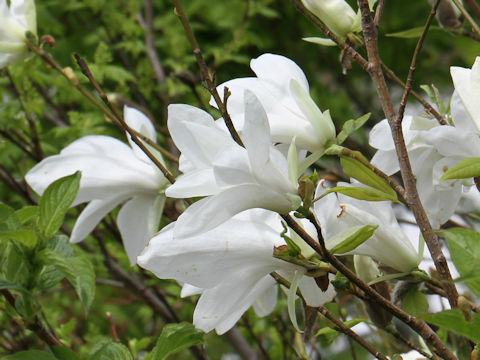 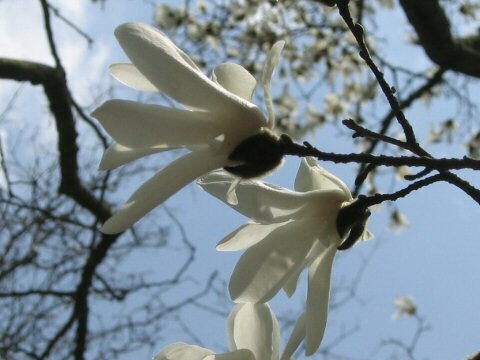 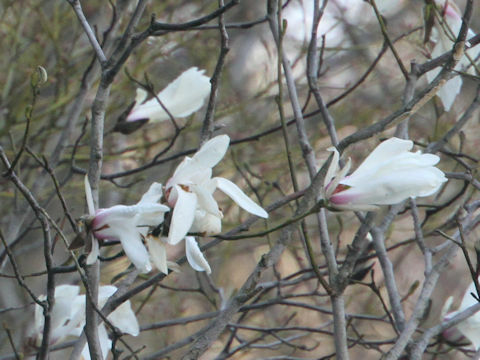 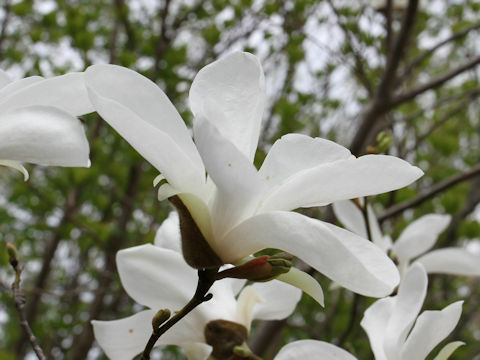 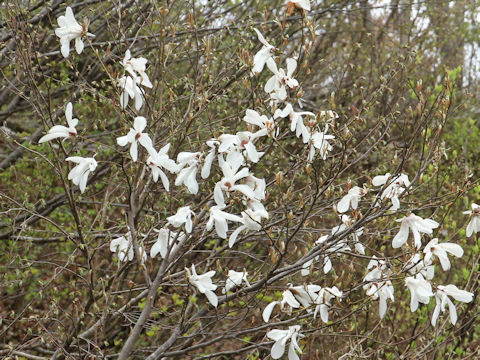 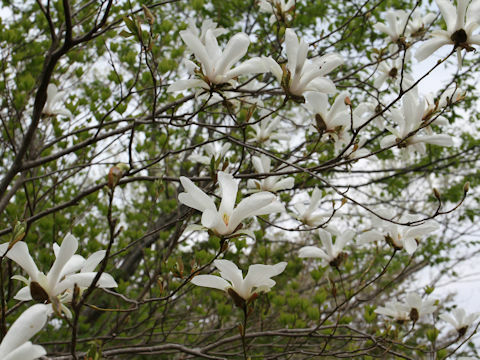 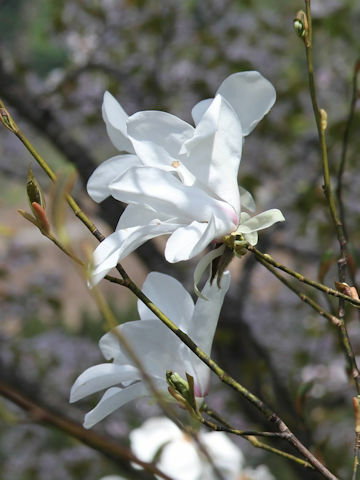 The flowers are scented, Northern Japanese magnolia-like white, and bloom in early April before foliation. 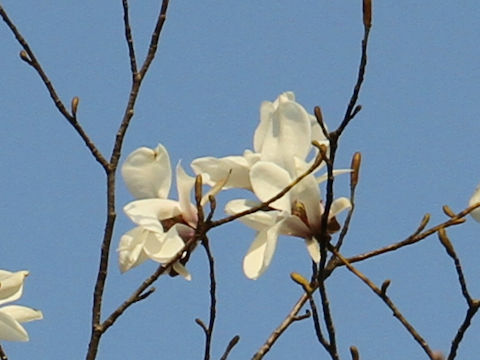 It has not the small leaf just under the flower.